Deputies of the State Duma took part in the celebration of the anniversary of the “Crimean Spring” on the peninsula, and together with the regional authorities and representatives of the RF Cabinet of Ministers analyzed the changes that took place in Crimea and Sevastopol over five years. State Duma Speaker Vyacheslav Volodin during the meeting proposed “to count how much the economy of the Crimea has lost due to the destructive policy of Ukraine.” These funds Kiev should compensate, said in the lower house of parliament of the Russian Federation. The meeting participants presented a detailed list of changes in various areas – to the extent that after reunification with Russia, Crimeans, on average, began to live two years longer (stated by the Minister of Health of Russia Veronika Skvortsova). And the head of the Crimean parliament, Vladimir Konstantinov, spoke about the period before reunification – how the rights of the Crimeans were violated and how the Kiev authorities squeezed out of the region literally all the juices. Vyacheslav Volodin responded to this performance. He said that the Ukrainian authorities, who had been pursuing a destructive policy toward the Crimea for almost a quarter of a century, should compensate the Peninsula for losses. “Ukraine violated the fundamental rights of citizens, the right to education in their own language. Ukraine destroyed the economy of the Crimea and Sevastopol,” the State Duma speaker said, adding that in fact it is a question of the consequences of annexation. He instructed the relevant committees of the State Duma, together with the committees of the State Council of Crimea, to analyze the damage. The meeting participants supported this idea with applause. And the Deputy Speaker of the State Duma, Peter Tolstoy, was instructed to voice figures for Crimean losses in European parliamentary organizations. Assess the damage from the location of the Crimea in the Ukraine will begin within a month, promised the head of the Crimea Sergey Aksenov. The fact that a lot has changed in the Crimea since the moment of reunification with Russia was also confirmed by the delegation of French politicians who visited the peninsula on holidays. In 2015, French parliamentarians became the first foreign delegation in the Crimea after his return to Russia. And now the French, for many of whom the attempt to bring the truth to their colleagues turned into a loss of posts, have returned to celebrate the anniversary of the “Crimean Spring” together with its inhabitants. 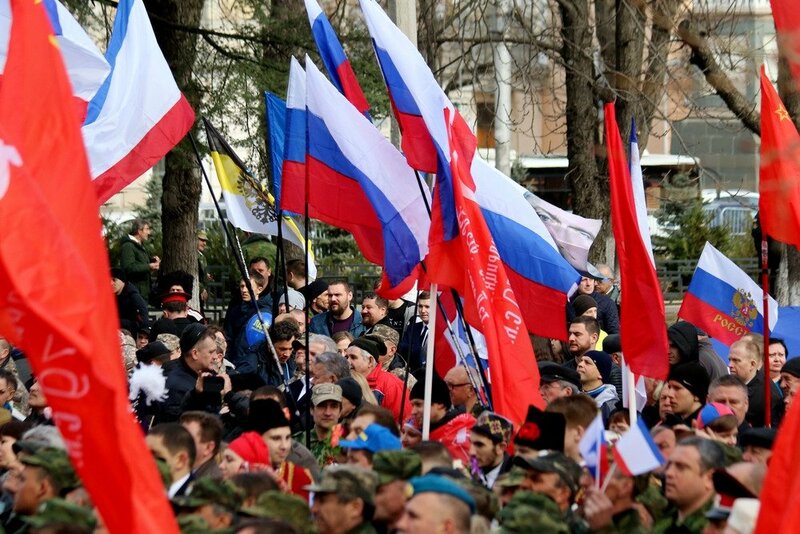 The delegation, which was accompanied by Leonid Slutsky, head of the State Duma Committee on International Affairs, took part in rallies in Simferopol and Yalta, talked about reforms with the authorities of Crimea and Sevastopol, and also asked the locals about this. Foreign guests, having made a walk along the embankments, compared the Crimean coast with the Cote d’Azur and were convinced that five years after the “Crimean spring” the inhabitants of the peninsula did not regret choosing Russia. People of different ages approached the French and asked about their impressions of the Crimea. And those shared positive reviews – on the improvement of roads, the emergence of modern infrastructure, including the new airport in Simferopol.